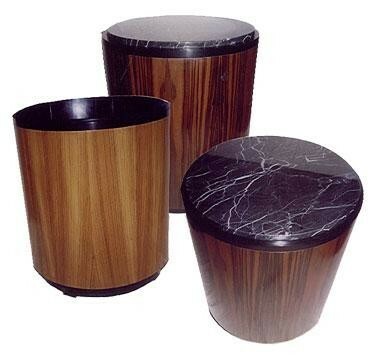 Our Art Deco Drum tables fit perfecly in both Art Deco and Contemporary settings. Very versatile-they can be made with either glass tops or Marble tops. The bases are always black and slightly recessed to give a lightness to the peice. Casually placed about a room they are useful and practical while adding luxury.